Hal ini untuk menjawab kebutuhan pelanggan terkait kebutuhan monitoring untuk aplikasi, jaringan (network), helpdesk, bandwidth serta data center. Selain produk manageengine, terdapat juga produk AKCP, Nagios XI, PRTG dan Solarwinds yang dapat dibeli dengan harga khusus. Nagios XI is the most powerful IT infrastructure monitoring solution on the market. You can use it to monitor virtually anything. 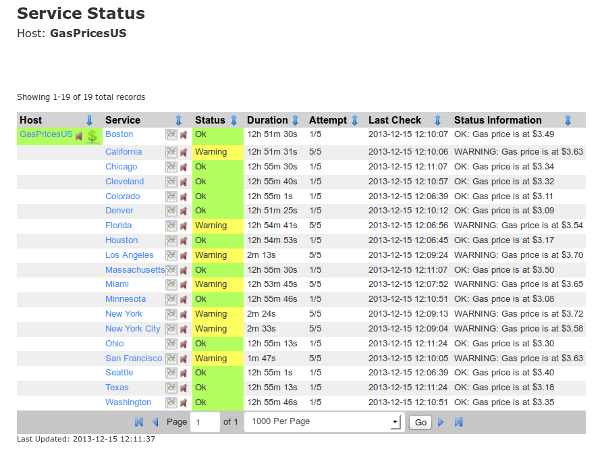 Although Nagios XI is typically meant for more “serious” work, you can have some fun with it as well! I guess I have been somewhat nostalgic lately… Do you remember when a gallon of gas used to cost less than a dollar? In this article I will show you how to install the check_gas_price.py plugin, set up a dummy host, and add multiple services to it. This will allow you to check the gas prices in the USA. Then you may use the Capacity Planning component in Nagios XI Enterprise Edition to view the trends of gas prices in the USA. Next, install the plugin from the Nagios XI web interface by going to: Admin --> Manage Plugins --> Choose File,then select the check_gas_price.py file and click Upload Plugin. 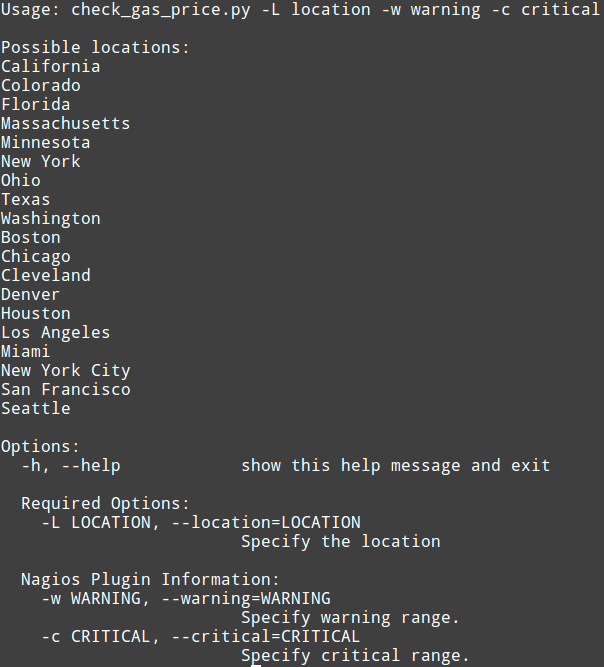 Create a new command by going to: Core Config Manager --> Commands –> Add New. I named my command “check_gas_price” but you can use whatever name you like. Next, create a dummy host and add some services to it for checking gas prices in the USA by selectingcheck_dummy from the Check Command dropdown. $ARG2$ = At what price would you like to receive a Warning notification? $ARG3$ = At what price would you like to receive a Critical notification? Note: Don’t forget to wrap the location in $ARG1$ in single quotes in case there is a space in the name. If you don’t use single quotes, you will get syntax errors. 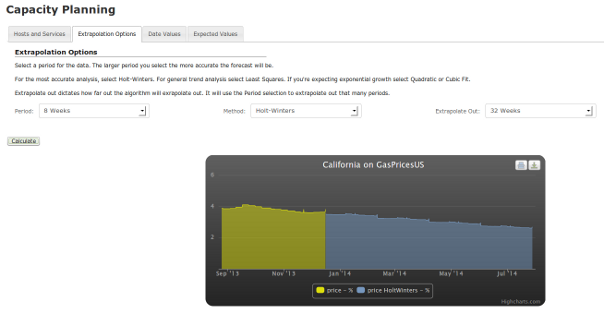 After monitoring gas prices for a good length of time, you can take the historical data that has gathered and use the Capacity Planning component to observe trends and forecast future gas prices. Here I used an 8 week period and extrapolated out 32 weeks. I don’t believe the gas prices in California will ever reach $1/gallon (at least not any time soon), but I sure do like the trend that is shown on the graph. Kendala dgn jaringan? twitter msh bisa diupdate via SMS, dengan menggunakan software ini..
Twitter is a kind of service that helps keep in touch with customers and business partners. It uses multiple methods for communication and the most effective one is sending tweets in SMS. With SMS technology you can send web updates to cellphones. To achieve this excellent functionality you need a stable SMS gateway such as Ozeki NG SMS Gateway that needs to be installed on your computer. In this article you will find detailed information on this solution and you will learn how to implement SMS functionality to Twitter. Twitter functions as a social network and micro-blogging service that allows to communicate and stay connected with important people. In case of companies there is a great possibility to use Twitter as a marketing tool and to keep in touch with their customers and business partners. Practically, it means that you can "tweet" (update) any information about your company, products or services in Twitter. Your customers or business partners can subscribe for RSS feeds and in this way they can always be updated about all the information and latest news on your company. This solution allows them to get the latest information and updates on your services or products they are interested in. Now there is a possibility to further increase these functions of Twitter with SMS technology. With this SMS functionality added to your IT system, you can ensure that all the important updates and news about the selected topics and issues will be sent to cellphones as an SMS message in real time. In this way you can be up-to-date and competitive by using this modern technology. To add SMS functionality to Twitter you need to install an SMS gateway on your computer such as Ozeki NG SMS Gateway. This software product will provide the SMS functionality that you need to send and receive SMS messages in your IT system to mobile phones. To achieve this function, you just need to create a new RSS user in the SMS gateway and setup a Twitter feed in it. It is just simple but very effective. With the implementation of this solution you can totally ensure availability and increase the efficiency of this service. This article will provide you further information on the prerequisites and the configuration of this solution. If you wish to setup this application you need to establish a connection between your system and a mobile network. You can choose from two options: Internet connection or wireless connection (when you attach a GSM phone or GSM modem to your computer). If you visit the following website you can decide easily which solution is the best for you: Internet based SMS connections vs. GSM modem based (wireless) SMS connections. You will need different tools for this application on the basis which solution you chose. You will need an SMS service provider who will be able to reach mobile phones of the selected area. To help you find a provider who can provide SMS service via the Internet, we have collected some providers on the following website: SMPP SMS Service providers. After you have chosen a provider and purchased its service you will get connection parameters and with these parameters you can set Ozeki NG SMS Gateway software according to your needs. * The cost of an SMS message is determined by the price plan you have chosen when you have purchased the SIM card from your GSM mobile network operator. Figure 2 presents how your SMS system will work after configuration: To send SMS messages from Twitter, first you need to configure your Ozeki NG SMS Gateway to check your predefined topics on Twitter periodically. You can set the frequency of these checkings. If there is a new web update on any of your predefined issues or topics Ozeki NG SMS Gateway will download the RSS feed of this topic. It processes the information and finally sends a message about the update to a given mobile phone. Ozeki NG SMS Gateway forwards messages to the mobile network either with the help of a GSM modem attached to your PC with a data cable or it connects directly to the SMS center of the mobile service provider to send out the messages to mobile phones. To receive updates from Twitter you need to configure Ozeki NG SMS Gateway. To use this solution properly and efficiently, please follow the steps of our guide and watch this video tutorial. First log into Ozeki NG SMS Gateway with your username and password (Figure 3). Click on "Add new user or application" option (Figure 4). Select "RSS user interface" from the list and click on "Install" next to it (Figure 5). This user will read RSS feeds and send their content as SMS. Next, provide a name for this new user. In our example it is "TwitterSms" (Figure 6). In "Logging" tab you can leave the default settings unchanged and click on "OK" (Figure 7). If you wish to setup a Twitter feed in Ozeki NG SMS Gateway, click on "RSS to SMS settings" option (Figure 8). Then start Twitter at twitter.com and select a topic or topics you wish to be informed about in SMS by clicking on it (Figure 9). After this, if you have not subscribed to the tweeds of the selected topic, subscribe to it now (Figure 10). Now copy the URL of your selected topic (Figure 11). Then paste the URL into "RSS url" field of Ozeki NG SMS Gateway (Figure 12). Finally, you need to provide the recipient of SMS messages (Figure 13). If you click on "Events" in Ozeki NG SMS Gateway you can inform about the sent messages (Figure 14). If you take a look at the "Outbox" of the user, you can see the sent messages (Figure 15). It is the best solution if you use Ozeki NG SMS Gateway to forward web updates from Twitter to mobile phones. With SMS functionality you can be sure that all important information about the selected topics will be forwarded via SMS at any time and anywhere. With the implementation of Ozeki NG SMS Gateway you can save valuable time and money while you get a well-functioning and effective solution. In my travels abroad over the years, I have had the great opportunity to meet with many enterprise customers to discuss the evolving threat landscape. In addition to helping inform customers, these meetings have provided me with an opportunity to learn more about how customers are managing risk within their environments. Many of these customers are interested in learning about the top threats found in enterprise environments. Visibility into what threats are most common in enterprise environments helps organizations assess their current security posture and better prioritize their security investments. Given the high level of interest in this information, I thought it would be helpful to take a close look at the top 10 threats facing enterprise customers based on new intelligence from the latestMicrosoft Security Intelligence Report (SIRv15). The latest report found that in the enterprise environment, on average about 11% of systems encountered malware, worldwide between the third quarter of 2012 (3Q12) and the second quarter of 2013 (2Q13). The “encounter rate” is defined as the percentage of computers running Microsoft real-time security software that report detecting malware - typically resulting in a blocked installation of malware. This is different from the number of systems that actually get infected with malware, a measure called computers cleaned per mille (CCM). Figure 1 (left): The malware encounter rates for consumer and enterprise computers, 3Q12-2Q13. Figure 2 (right): The quarterly trends for the top 10 families detected by Microsoft enterprise security products, 3Q12-2Q13, by percentage of computers encountering each family in 2Q13. By the end of 2012, web-based attacks had surpassed traditional network worms to become the top threats facing enterprises. The latest Security Intelligence Report shows this trend is continuing in the first half of 2013. In fact, in 2Q13 six out of the top ten threats facing enterprises were associated with malicious or compromised websites. These threats include JS/Seedabutor, HTML/IframeRef,Win32/Sirefef, JS/BlacoleRef, Java/CVE-2012-1723 and Blacole. Computer users in organizations typically come into contact with these types of malicious or compromised websites unexpectedly when browsing the web while using their organization’s systems. Once a system is compromised with malware, it not only disrupts the infected machine but also has the potential to cause harm to the systems it interacts with. The infected system may be used to spread malware both inside and outside the organization, and steal information such as intellectual property. While web-based attacks have become the most common threats facing enterprises, worms cannot be ignored. In 2Q13 three out of the top ten threats facing enterprises were associated with worms (Win32/Conficker, INF/Autorun, Win32/Dorkbot). Worms are commonly spread through network drives, abusing the Autorun feature or exploiting weak passwords. The third most common way in which enterprise organizations are encountering malware, based on the latest threat intelligence, is through social engineering; Win32/Obfuscator is an example of this. Cybercriminals will try to hide the malware using deceitful tactics to trick you into installing it. There are a number of ways this may occur. For example, a compromised system may be used by attackers to send out erroneous emails, friend requests or instant messages which contain links to malicious sites or malware. Another common way in which attackers try to trick people into installing malware is by bundling it with popular software, movies or music that can be downloaded online. We talked about this method in detail when we released the Microsoft Security Intelligence Report Volume 13. Keep all software up-to-date: Attackers will try to use vulnerabilities in all sorts of software from different vendors, so it is important for organizations to keep all of the software in their environment up to date and run the latest versions whenever possible. This will make it harder for the types of threats we see in the enterprise today to be successful. This tactic would have helped to mitigate six out of the top ten threats detected in enterprise environments in the first half of 2013. Demand software that was developed with a security development lifecycle: Until you get a software update from the affected vendor, test it, and deploy it, it’s important that you manage the risk that attackers will attempt to compromise your environment using these vulnerabilities. A very effective way for software vendors to help you do this is by using security mitigations built into the platform, such as ASLR, DEP, SEHOP and others. These mitigations can make it much harder for attackers to successfully exploit vulnerabilities. Demand software from your vendors that use these mitigations. You can check if the software you have in your environment have these mitigations turned on, using a tools likeBinscope or EMET. In cases where you have software deployed in your environment that do not use these mitigations, in some cases EMET might be able to turn them on for you. These mitigations can help you manage risk by giving you more time to test and deploy security updates or new versions of software. An easy way to ask your vendors if they use a security development lifecycle is to ask them if they meet the guidance in an international standard called ISO 27034. Restrict websites: Limit web sites that your organization’s users can visit. This likely won’t be popular in the office, but given the majority of threats found in the enterprise are delivered through malicious websites, you might have the data needed to make a business case. Also, restricting web access from servers has been a best practice for a long time. • Manage security of your websites: Many organizations don’t realize that their websites could be hosting the malicious content that is being used in these attacks. Organizations should regularly assess their own web content to avoid a compromise that could affect their customers and their reputation. Leverage network security technologies: technologies like Network Access Protection (NAP), Intrusion Prevention System (IPS), and content filtering can provide an additional layer of defense by providing a mechanism for automatically bringing network clients into compliance (a process known as remediation) and then dynamically increasing its level of network access. Of course, there is plenty of other data and guidance in the latest Microsoft Security Intelligence Report; it is designed to provide prescriptive guidance which can help our customers manage risk and protect their assets. If you are responsible for managing risk for your organization, then I encourage you to download it today at www.microsoft.com/sir to learn about the latest threat trends. PLEASANTON, Calif. — January 07, 2014 — ManageEngine, the real-time IT management company, today announced it has been positioned by Gartner, Inc., in the 2013 Magic Quadrant for Application Performance Monitoring. The report can be viewed online at http://ow.ly/ozxJ0. "We believe being recognized in Gartner's Magic Quadrant for Application Performance Monitoring (APM) for the third year in a row reinforces the confidence ManageEngine customers have in our APM strategy," said Sridhar Iyengar, vice president, product management, at ManageEngine. "This year, Gartner has positioned us the furthest on the 'ability to execute' axis in the Niche Quadrant. We feel this positioning reflects our unique value proposition, which revolves around an easy-to-use, feature-rich product that requires no professional services to get up and running and motivates us to increase focus on our APM strategy." The Gartner Magic Quadrant for Application Performance Monitoring includes 13 vendors. Criteria for a vendor's inclusion in the APM Magic Quadrant include at least 50 customers who use its APM product actively in a production environment, a SaaS delivery model for at least a subset of the APM offering's features and the presence of all five dimensions of APM functionality as defined by Gartner. Those five dimensions are end-user experience monitoring, application topology discovery and visualization, user-defined transaction profiling, application component deep-dive, and IT operations analytics. Today's IT managers are expected to understand how specific IT services are affecting business operations, so the organization's IT strategy should facilitate this. Regardless of the application's execution environment - physical, virtual or cloud - Applications Manager provides insight and control through a single, easy-to-use interface. It enables IT teams to troubleshoot performance bottlenecks and perform root-cause analysis with minimal reliance on manual processes and guesswork. Applications Manager empowers IT managers to understand how specific IT services are affecting business operations. It also enables IT teams to monitor compliance with service level agreements and ensure a high-quality, end-user experience. Site24x7, the SaaS-based APM solution from ManageEngine, provides a global perspective of the end-user experience by monitoring from 40+ locations across the world. Applications Manager, along with Site24x7, provides end-to-end visibility into what's working and what's not, across complex IT environments. For more information on ManageEngine's application performance monitoring solutions, please visithttp://www.manageengine.com/application. For more information on ManageEngine, please visithttp://www.manageengine.com/; follow the company blog at http://blogs.manageengine.com/ on Facebook athttp://www.facebook.com/ManageEngine and on Twitter at @ManageEngine. Gartner does not endorse any vendor, product or service depicted in our research publications and does not advise technology users to select only those vendors with the highest ratings. Gartner research publications consist of the opinions of Gartner's research organization and should not be construed as statements of fact. Gartner disclaims all warranties, expressed or implied, with respect to this research, including any warranties of merchantability or fitness for a particular purpose. ManageEngine Applications Manager is application performance monitoring software that helps businesses ensure high availability and performance for their business applications by ensuring servers and applications have high uptime. It comes with out-of-the-box support for 50+ application servers, servers, databases and transactions spanning physical, virtual and cloud infrastructures. 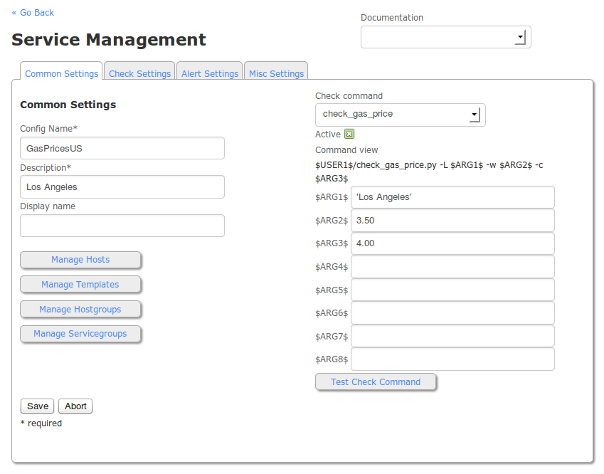 For more information on ManageEngine Applications Manager, please visit http://www.manageengine.com/apm. Site24x7 is a cloud infrastructure monitoring service from ManageEngine that helps monitor the uptime and performance of websites, online applications and servers. The monitoring is done from 40+ locations around the world, thus giving you a global perspective of the end-user experience. Site247 supports monitoring HTTP, HTTPS, SMTP, TCP, IMAP, SSL, Ping, FTP, SFTP, DNS and other internet facing services. For more information on Site24x7, please visit https://www.site24x7.com/. ManageEngine delivers the real-time IT management tools that empower an IT team to meet an organization's need for real-time services and support. Worldwide, more than 72,000 established and emerging enterprises - including more than 60 percent of the Fortune 500 - rely on ManageEngine products to ensure the optimal performance of their critical IT infrastructure, including networks, servers, applications, desktops and more. ManageEngine is a division of Zoho Corp. with offices worldwide, including the United States, India, Japan and China. For more information, please visit http://buzz.manageengine.com/; follow the company blog athttp://blogs.manageengine.com/, on Facebook at http://www.facebook.com/ManageEngine and on Twitter at@ManageEngine. Ingat, DCIM bukan cuma data center, bukan cuma monitoring dan bukan cuma terkait power..
Data Center Infrastructure Management (DCIM) means many things to many people. It is a relatively young term that represents an emerging class of IT physical infrastructure solutions, one that has already generated enormous market acceptance. Gartner predicts that it will quickly become mainstream, growing from 1% penetration of data centers in 2010 to 60% in 2014 (DCIM: Going Beyond IT, Gartner Research, March 2010). Why is DCIM taking the market with such force? Today’s IT decision-makers are starving for the information, insight, and command-and-control that a true Data Center Infrastructure Management solution offers. To paraphrase one of Gartner’s early definitions: Data Center Infrastructure Management integrates facets of system management with building management and energy management, with a focus on IT assets and the physical infrastructure needed to support them. Data Center Infrastructure Management – when it’s the right solution from the right vendor – can optimize the performance, efficiency, and business value of IT physical infrastructure and keep it seamlessly aligned with the needs of the business. But not all DCIM vendors are created equal. IT decision-makers must make a careful evaluation of today’s vendors, products, and promises. They must strip away the misconceptions. Here are three common myths about DCIM. Myth: DCIM is about the data center. REALITY: DCIM IS ABOUT THE ENTERPRISE. A true Data Center Infrastructure Management solution can scale to manage hundreds of thousands – if not millions – of assets sitting in the world’s largest global IT infrastructure environments. All of the servers, switches, blades, etc. and the myriad of facilities and building systems that constitute the physical infrastructure. Not just in the data center, but across the entire enterprise. Because the walls between IT and facilities are coming down. If the vendor cannot scale to reliably meet the challenge of convergence at the enterprise level – handcuffed by product limitations or lack of experience – then it is not a complete DCIM vendor. Myth: DCIM is about monitoring. REALITY: DCIM IS ABOUT MANAGING. Executives today cannot afford to mistake monitoring for managing. Monitoring energy usage at the device level gives you mere data – a single-dimensional perspective on a specific device at a specific point in time, without context. The data must be deciphered or assimilated so you can make sense of it. Managing energy usage across the power chain requires context-rich information about all of the interrelationships that exist between assets – holistic information that is immediately meaningful and actionable, and lets you track power all the way from the transformer on the street down to every device on every rack. This insight is best found in an interactive, navigable 3D environment that validates the axiom, “a picture’s worth 1,000 words.” Humans are innately visual creatures, making interactive 3D visualization the perfect environment for presenting holistic information that leads to swift, insightful decision-making. Interactive 3D visualization is core to Data Center Infrastructure Management because it’s the most effective way for IT executives to wrap their arms around the incredible complexity of the modern data center. Conventional 2D spreadsheets or static 3D images, for example, cannot possibly represent the web of interrelationships that a power chain encompasses. Myth: DCIM is about power. Reality: DCIM IS ABOUT EVERYTHING. In its early days, Data Center Infrastructure Management was born of the need to understand and reduce energy consumption. “DCIM is an offshoot of the green IT initiative and originally was designed to do basic energy monitoring, reporting and management at the data centre level,” says analyst David Cappuccio of Gartner. This statement may be true, but DCIM with interactive 3D visualization has evolved far beyond power. The physical layer has increasingly become the single point of IT operational dependency in a world of increasing convergence. DCIM is the natural evolution of this process. The physical layer is now being treated with the same level of priority as the logical layer. Investments in managing the logical layer are shifting to investments in managing the physical layer.